May God bless your interest in our parish! 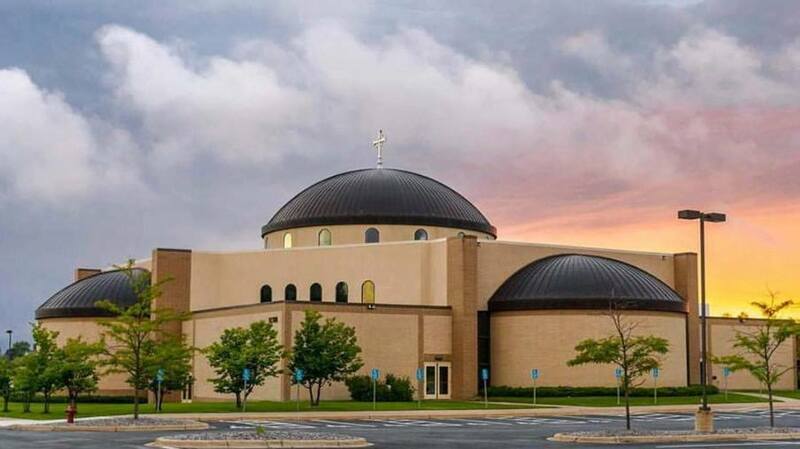 If you are looking for a spiritual home and would like to join St. Michael Catholic Church, print and complete our parish registration form, then stop by our parish office to drop it off and meet our staff. The office is on the lower level of the church on Frankfort Parkway - either park in the lower lot on the west side of the church and enter on the lower level, or park in the main lot and enter through the main doors, then go down the stairs and turn right. Regular office hours are Monday through Thursday, 8 a.m. to 4 p.m., and Friday, 8 a.m. to 1 p.m. If you are in the church while the office is closed, drop your form in the black mailbox on the wall outside the office, and we will be in touch soon about Welcome Sundays and church tours.